Homeowners and commercial property owners know that the air ducts in their homes and businesses can be a major source of air quality problems. Contaminants and debris accumulate in the ductwork that circulates indoor air, and contribute to poor air quality that can be as much as 70% worse than the air outdoors. Our Minnesota climate contributes to the problem, by forcing us to tightly close up our homes and business buildings to conserve energy and get the most from our heating and cooling budget. Keeping air ducts and associated equipment clean and free of contaminants requires professional cleaning, done by trained, qualified technicians using the proper equipment and techniques. 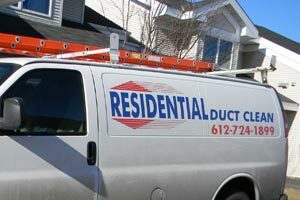 Our Minnesota air duct cleaning service company was started over two decades ago by Residential Heating and Air Conditioning to provide our customers with high-quality professional cleaning services at affordable prices. As a leader in heating and air conditioning sales and service in Minneapolis St. Paul, we knew that only well-trained technicians could clean residential and commercial ductwork properly and economically. Our thousands of customers depend on our award-winning service to provide the same expertise and experience that has built our BBB A+ reputation in heating and air conditioning. Dust – Made up of tiny fibers and other particles, dust makes up the bulk of the accumulation inside air ducts and vents. As it recirculates in your home or business building, it contributes to allergies, respiratory problems, and makes cleaning and dusting a constant chore. Dog and Cat Dander – If you have pets, they shed microscopic particles of skin and fur constantly. This debris circulates in your home, and is a potent trigger for allergies and respiratory problems. Dust Mites – Tiny creatures, they feed on human skin flakes and pet dander, and often infest air ducts and vents. Their droppings become part of the dust in your home, causing allergic reactions for many people. Molds, Viruses and Bacteria – In our humid summer climate, biological contaminants find an ideal environment to grow in our air ducts and vents. The longer the ductwork remains uncleaned, the more opportunity for these contaminants to thrive and pose health risks. Odors – From cooking and smoking odors to pet odors and odors from many other sources, air ducts trap these odors and circulate them in your home. When it’s time to choose a Minnesota duct cleaning company, you have many options. Some duct cleaners are just a web site and a telephone. When you schedule a service, they pass your order on to an independent contractor who then comes to your home. Who arrives depends on who is available. You may also see promotional offers at unbelievably low prices, but once the service van arrives, you get a lot of pressure to pay for additional, often unnecessary, services at extra cost. Unlike other companies, our technicians are highly and continuously trained, employed by us, and only clean air ducts and heating and air conditioning equipment. Our well-equipped vans are dedicated to the job and have the powerful, state-of-the-art tools needed to do the job right. We offer three levels of duct cleaning services with different costs, along with cleaning services for furnaces, air conditioners, water heaters, fireplaces and chimneys. Our prices are all-inclusive, and often include additional services free of extra cost. We’ll NEVER give you a high-pressure sales pitch or a surprise in price after the job is finished. We are all about great, affordable services, done efficiently and properly every time. Our extensive service area covers the entire seven-county metro area, from Bloomington, Richfield, Edina and Eden Prairie to Brooklyn Park, Blaine, Maple Grove and Roseville, and from Plymouth, Golden Valley, Minnetonka and Wayzata, to Woodbury, Eagan, Burnsville and Apple Valley. 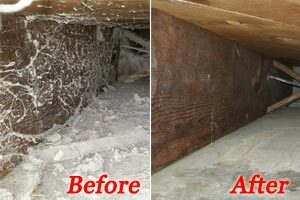 We hope you’ll explore our web site to learn more about air duct cleaning and our other services. We believe that when you do, you’ll see why choosing us for these services is your best option. We bring you the best-trained, best-equipped technicians, backed by the legendary reputation of our parent company, Residential Heating and Air Conditioning. We serve the entire Minneapolis St. Paul metro area. Contact us soon to schedule any of our services. Let us show you why we’re the Twin Cities most trusted leader in air duct and HVAC cleaning services. 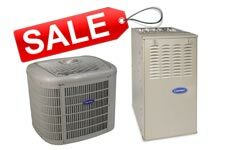 Save up to $3,050 on Furnace and Air Conditioner Package!